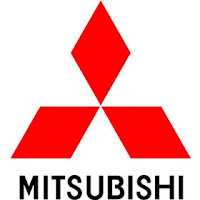 February 11, 2010, Mumbai: Mahindra & Mahindra Ltd. (M&M), one of the world’s top tractor brands, and Mitsubishi Agriculture Machinery Company Co. Ltd. Japan (MAM) today signed a License Agreement for a strategic transfer of agricultural machinery technology. 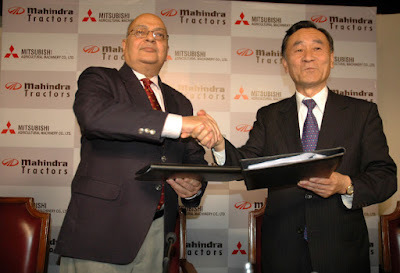 This agreement, which outlines an association to provide mechanization for crop specific solutions, was signed at the Mahindra Group’s headquarters in Mumbai, by Mr. Shimizu, President - MAM and Mr. Anjanikumar Choudhari, President - M&M Farm Equipment Sector (FES) & Member of the Group Management Board. The agricultural machinery technology is being licensed to M&M Farm Equipment Sectors’ Applitrac Business, for manufacturing in India. The agricultural machinery will be sold under the Mahindra Brand name in the domestic market, in addition to exports to China & SAARC countries. Mahindra & Mahindra’s Farm Equipment Sector has envisaged a new vision of delivering prosperity to farmers across rural India by providing innovative crop specific farm technologies aimed at enhancing productivity, aptly termed as ’FarmTech Prosperity’. The License Agreement with MAM is yet another step towards achieving this vision.